Xtreme Fuel Systems is an Australian owned & operated carburettor business. We offer for sale both new & rebuilt carburettors from manufacturers such as Holley, Stromberg , Rochester, Weber and Carter Carburettors. And a large range or new holley parts. view our picture gallery . We are not authorized distributors for any of these brands but rather, we search locally and overseas for stock to offer you the best possible prices. Stocks are always limited but we are always replenishing our stock. We offer a fast turn around time on reconditioning your carburettor (1-3 days) depending on the condition. Methanol conversions to Holley carburettors are done in house tailor made to suit your engine + Blower carburettors. Carburettor restorations for the club enthusiast a specialty. We also offer an electroplating service for all your carburettor accessories, linkages and components. We are committed to providing the best possible prices and quality on all the above brands. Our expertise in local and international market guarantees low prices across the board. 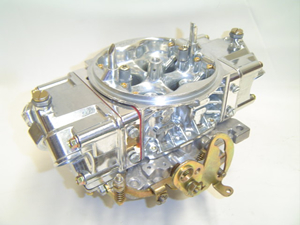 Our carburettors are outright sale and can be exchanged on request. Sometimes called “ball-burnishing,” burnishing produces smooth mirror-like finishes on surfaces ranging from matte to polished. In addition, as steel media presses on a part, the working action imparts compressive stress, and its surface becomes work-hardened. The process often can replace steel shot blasting as a work-hardening step. Parts processed with steel media have longer cycle lives and greater resistance to wear as a result of this compressive stress action. 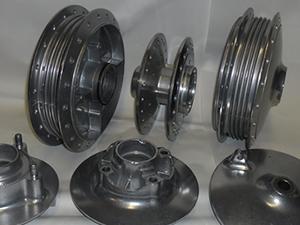 As an added benefit to its cleaning and burnishing capabilities, steel media enhances plating operations. Prior to plating, parts that may appear smooth often are marked by micro-imperfections, which can distort the plating process. The weight of steel media flattens these minute irregularities and prepares a surface for satisfactory plating.